So, bright and early, my alarm went off at 5:30 for this morning’s Juneathon run. Before getting out of bed, I did some ankle rolls followed by some stretching of my foot. I have to admit that I was pleasantly surprised by the lack of intense pain! In fact, my foot felt better than it had the previous morning! Now, I don’t want to lead you astray into thinking I am pain-free. That is definitely NOT the case. I however, am not greedy. 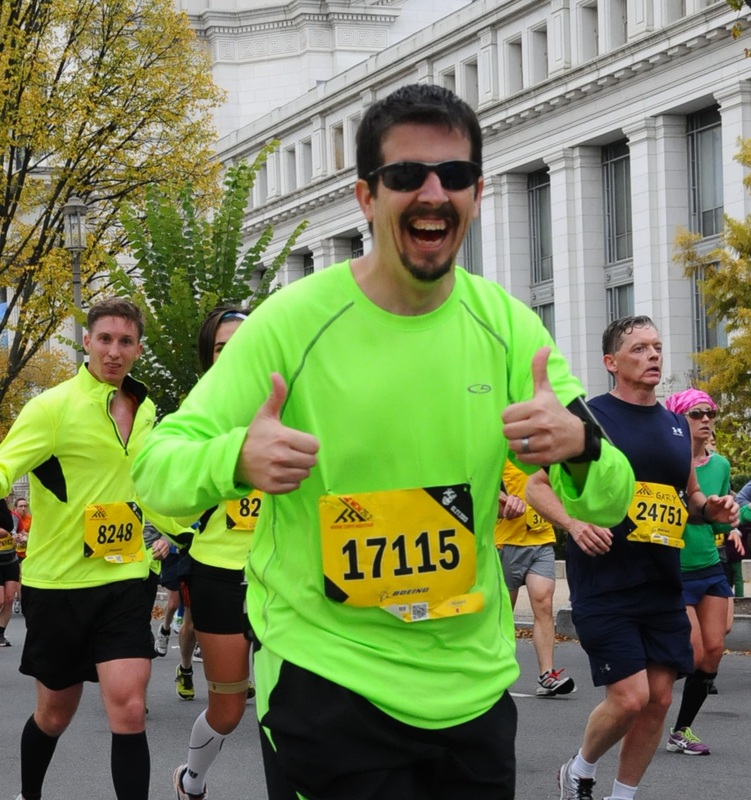 I will take “less pain” and “able to run without a limp” and remain very happy! Knowing that yesterday’s 1.5 did have increasing levels of foot pain, I decided I would only jump up to 2 miles today. I actually started and stopped where the green dot is. 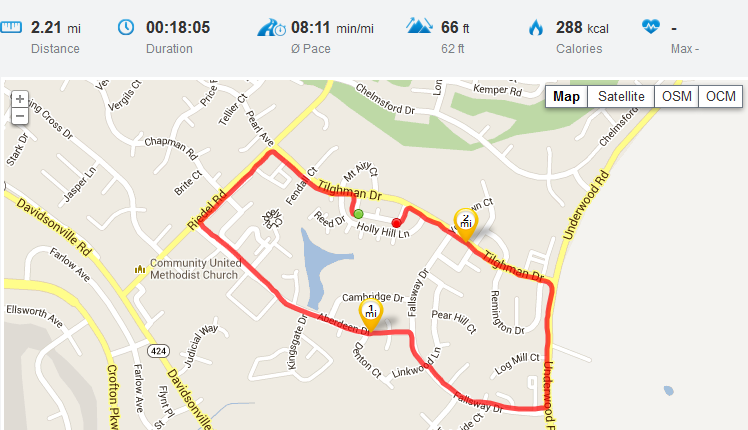 I think I got gypped a tenth of a mile..
That way I was always in easy “walk-home” distance if needed. I did my usual, just head out and run, letting my body choose the pace. 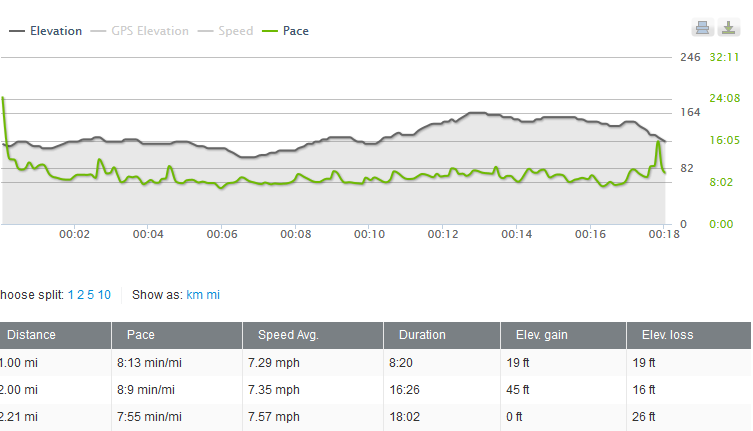 When my Fantastic told me I was maintaining an 8.17 mile at the first mile marker, I was happily surprised! Hmm.. this time my house raised up instead of sank during my run.. at least its balancing out? The second mile was just a hair faster, but I was glad that I had only planned 2 miles for the day! I forget that even taking two weeks off requires a little bit of an adaptation period to get everything back to normal! 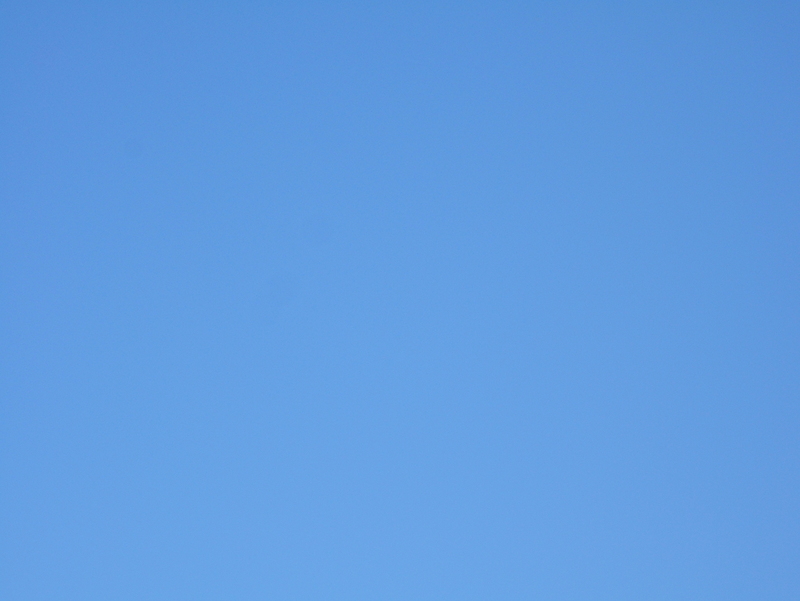 to my Binghamton area friends – this is what the sky looks like when there are no clouds! Today’s run felt really good. There wasn’t a cloud in the sky, and it was nice and cool. I could feel the PF in my foot, but it didn’t interfere with the running. Tomorrow may be a bike-ride instead of a run – we will see! Great news! Glad you’re feeling much better! Thank you! Holding the pace, and getting faster too! Now ifI could just pull it off without the pain!